Employment relationships, like most relationships, typically start off with the best of intentions in both parties’ minds. Unfortunately, the expectations of one or both parties are not always met and on occasion the employment relationship must be cut short earlier than both parties intended. Usually, this will not result in major costs for an employer but a recent case from British Columbia highlights how short-lived employment relationships can sometimes result in major awards for dismissed employees. In Greenlees v Starline Windows [“Greenlees”], an employee who was dismissed after approximately six months of service was awarded a six-month notice period by a British Columbia court. The employee in Greenlees was a 43-year-old salesman who had been working in the landscaping construction industry while the employer designed and sold windows for residential properties. The employee had a relatively stable, successful practice in landscaping construction but was lured into new employment, despite his reluctance, with promises of high commissions. The employer promised that the employee would start off in renovations which had lower earnings potential but would eventually move to new residential sales which had a higher potential for income. Ultimately, however, the employer never moved the employee into his desired role and he was unable to reach his personal goals or the targets set by his employer and he was terminated without cause only six months into his employment. there was a lack of similar employment that the employee might obtain in the area and the employee was, in fact, unable to obtain similar employment with similar remuneration until more than seven months after his dismissal. With regard to the first factor, the Court considered that the employee had previously been working in a secure sales position prior to coming to work for the new employer. The new employer had enticed the employee to enter its employ with promises of sales opportunities and expected earnings. The new employer also promised the employee that he would start in one area of sales and transition to a more profitable area upon completing his probationary period. Ultimately, neither the forecasted sales and earnings, nor the switch to the more profitable division materialized and shortly after his six-month probationary period expired, the employer terminated his employment. The Court did not allocate any weight to this factor however, because the income forecasts had not been promises or guarantees and the employee should have been aware of this given that his employment contract contained an entire agreement clause. Thus, the employer’s failure to follow through on representations of income made on hiring did not contribute to increase the employee’s notice period. Another factor in the court’s award of a longer notice period was the principle that short duration employees are entitled to a correspondingly longer period of notice. The Court cited considerable caselaw from British Columbia that bolstered this principle. Though the Court did not explain the rationale behind this reasoning, it seemed to derive from an inference that short duration employees would have more difficulty finding new employment after being terminated. The Court identified a two- to three-month starting point in these types of circumstances and indicated that other factors such as inducement, bad faith, or a difficult job market would serve to extend the basic two-month period, but that the awards should not greatly exceed five months in length. With respect to the final factor, the Court found that it had been very difficult for the employee to obtain similar employment in his field after being dismissed by the new employer. Although the employee was only 43 years of age, his position as a window salesman was difficult to replace, particularly given that his previous experience in sales had not involved selling windows. The new employer had also refused to provide a letter of reference which the Court found to be an obstacle to reemployment. Indeed, the Court seemed to weigh the failure to provide a reference letter quite heavily, citing it as a reason to provide a longer notice period compared with similar caselaw precedents where employees had engaged in longer job searches after termination. This case is an interesting reminder to employers that the specific circumstances of a particular employment relationship will often be of critical importance in determining an employer’s notice obligations upon termination. Employers in specialized industries or regions where they hold monopolies are more likely to be saddled with large notice awards due to the limited ability of their former employees to find alternative, comparable employment following dismissal. This accords with the principle behind providing reasonable notice, which is to provide employees with sufficient time to find replacement employment. Employers in these industries and regions should be mindful of this distinction when making decisions on headcount. It would also be wise for employers to be certain that they wish to retain an employee in the long-term before attempting to induce them away from secure employment. Courts will often extend the notice period where it appears that the employer induced the employee to leave a secure position. Although the Greenlees decision certainly exists as an outlier, it nevertheless shows that exceptional awards are possible, even in the context of short duration employment, and employers ought to anticipate such situations in their business decisions. This blog is provided as an information service and summary of workplace legal issues. 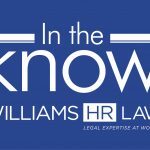 Copyright © 2018 Williams HR Law | All Rights Reserved.